Normally superhero and sci-fi movies and movie news follows a predictable pattern. Rumors come out about possible casting situations or announcements and then the announcements come themselves. And there’s rarely ever much of a surprise. A movie is released in theaters and does well, and within a month, an announcement is made about a sequel. Things like that are common place and normal. But this month has been anything but normal. 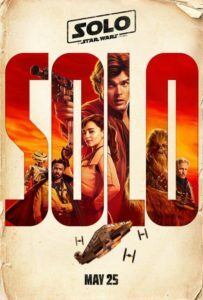 With all that going for them, not to mention some television producing work, (these guys produce the Fox show The Last Man on Earth,) they decided to take on The Han Solo Movie. Now maybe these guys didn’t know the reputation of Kathleen Kennedy, producer of the Star Wars films, or maybe the stories about her weren’t public knowledge yet, at the time they signed their contracts. Or maybe they ignored the stories, because they just didn’t care. 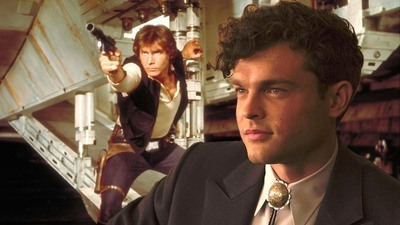 If offered the chance, there aren’t many filmmakers out there who would turn down a Star Wars movie, let along a Han Solo film, (being the coolest character of Star Wars, save for maybe Boba Fett.) Still, if these guys knew about Kennedy’s reputation and ignored it, (which is a big if,) than that was obviously a big mistake. Phil Lord and Chris Miller were fired. 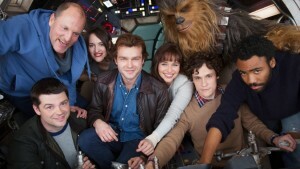 They are no longer directing Han Solo. And this is not a “we left on mutual good terms due to creative differences,” kind of situation. This is not like Ant Man’s losing director Edgar Wright, and both parties claiming the whole thing was okay, (although you had to know that Wright didn’t really feel that way, after all the years he put into the project.) But in the case of Lord and Miller, the firing was meant to be a big deal, and it most certainly was. How, exactly this happened, is up for debate. Did they walk off themselves, or did Kennedy let them go? Either way, he demands were enough to drive a huge rift between them. And by demands, I mean telling them, “you boys are done, and somebody else is going to take over.” But directors are fired all the time, just like that Ant Man story. So what makes this situation so especially crazy? The crazy part of it all is that the movie has been shooting since January, and it is now July. It has been shooting for so long, in fact, that there are only about three weeks of shooting left. So, as far as shooting is concerned, the movie is nearly done. And now is the time that Kennedy chooses to get rid of them? This is when she finally realized that she didn’t like how things were going? Let’s go back for a minute to that talk about Kennedy’s reputation. This is not the first time she has made a decision like this. With Star Wars: The Force Awakens, director JJ Abrahms finished the movie and wanted to stay on as the producer of the next films. Kennedy nixed the idea and parted ways with him. That one is understandable. But then comes the story of Rogue One. This is where things get worse. The director, Gareth Edwards, (Godzilla,) was asked to step off the project, with only about three-fourths of it completed. He was basically told the same thing that Lord and Miller were told with Han Solo. Thank you for your service, but we’ll take it from here. What???? It’s his movie. What do you mean, you’ll take it from here? In the case of Rogue One, Kennedy asked Edwards if he would willingly leave and turn the movie over to another director. Edwards agreed. Part of the deal had to be that Edwards would still be listed as the director and would get the sole credit for directing. The story of someone else coming in to finish the film up would stay a secret and remain behind the scenes. Only it didn’t. By now we all know exactly what happened. Edwards agreed to go quietly and Tony Gilroy (Michael Clayton,) was brought in to finish the project up. The story was hidden from the press during the film’s release, and Edwards got full credit. The movie did very well, and it appeared that Edwards made the right choice. Only now, with Lord and Miller and the Han Solo movie, they were also asked to step off the project and go quietly, and they refused to play ball. Why should they have to turn the movie over to another director? It is completely disrespectful to even ask such a thing, and the two of them stood their ground. There were rumors from the set about how they were doing too much improvising and didn’t have the right tone for the movie. If these guys know anything, it’s comedy, and I would have trusted them. There’s the story about how the movie’s star, Alden Ehrenreich (Hail Caesar,) is the one who brought the problem to the attention of Kennedy, saying he wasn’t confident in what Lord and Miller were doing. Then Kennedy watched the dailies and agreed. Only after that, she brought in an acting coach to start training Ehrenreich. So maybe it wasn’t the directors, but the actor, who were the problem. A new director has already been brought in. That director is Ron Howard. He’s a big name and a huge get, but is he the right man for this project? My feeling on the matter is no. Howard is an old timey director. He works almost exclusively with Tom Hanks and Russell Crowe. Howard is generally a director of dramas. He did make those Robert Langdon movies, which shows that to some extent he can do action, but comedy? The last good comedy Howard made might have been Splash. He made the Dilemma a few years back with Vince Vaughn and Kevin James, and that movie wasn’t very good or very funny at all. So I don’t think that Howard was the best get for this job. Especially since the two guys they were replacing are comedic masters. And maybe that’s the point. Maybe Kennedy doesn’t want this movie to be so much of a comedy, and wants more of a drama angle. I can understand that, and I can also understand her getting rid of the directors, if they were too set on doing comedy, but there are still two problems I have about this whole situation. First, why would you hire Lord and Miller if you weren’t going for comedy? That’s what these guys do. That’s all they do. They’ve mastered the genre, but it is that genre. So the fact that they were hired to make the movie hopefully shows that the movie was supposed to be a comedy. And then my second problem is the firing of them so late in the game. It shouldn’t have happened like this. Not after so many months of shooting. Was Kennedy really that lazy that she never looked at the dailies until Ehrenreich brought the problem to her attention. Or was it that she had indeed looked at them, and was okay with them, until someone else spoke up. Either way, it’s not good. When something like this happens to a movie, it rarely results in a decent film. What a mess.